The world will be your oyster with this 6mm Swarovski pearl bracelet. Interwoven with Bali silver rope spacers, this design stylishly symbolizes a timeless piece. 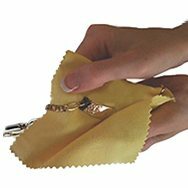 Select your favorite from white, cream, rose or peach Swarovski faux pearls. 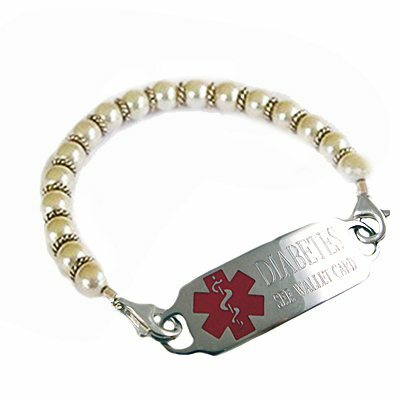 Price includes: One Deluxe stainless medical id tag with enamel medical emblem, traditional-etched engraving and interchangeable beaded strand with two lobster clasps..